It’s not so much who we are, but what we do that matters. Août is a team of designers and creators, dedicated to helping a generation of men dress and live well. Am I committing anything by joining? The easy answer is no – you have no obligation to buy anything. The longer answer is yes – we’re a team and we want you to be a part of it. We want to know what you like, what you want, and how you wear it. The more you love our clothes, the more we can create, and the more we can lower the costs of the clothing we all want. After all, we’re in this together. How do I use my Discount Code / Gift Voucher? When you select a shirt and add to cart, total price will be displayed. Under the total price box you will see a box next to Discount code/Gift voucher Number. Please enter the code. When you click the submit button, the system will recalculate the price. Your gift voucher will only allow you to buy a shirt that is of the same value or less than the voucher price. 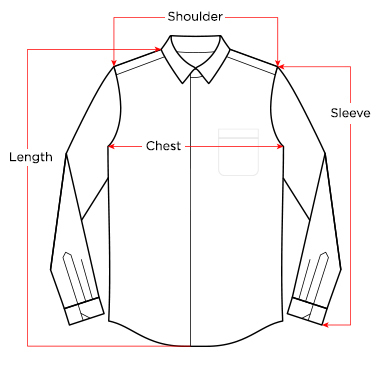 If you have selected a shirt that is higher than the value of the gift voucher, the balance amount will be calculated and shown at check out. What if I'm not sure of my Size? Août is a Singapore-based that designs, manufactures, and curates its own monthly collection of fine men’s clothing. The primary brand we carry is our own: Août. However, on occasion we bring in special partners and create limited edition product collaborations. Your personal details are kept private and confidential, we will not rent or sell it. For registration we need your name, mailing and email address. For purchase we will need your billing/shipping address and telephone number, this information is not shared with anyone. We use secure payment channels such as Paypal, Stripe and Direct Bank Transfer hence we will not hold any of your credit card information. We may use your contact details to keep you posted on the latest arrival and offers. If you don’t wish to receive that information, please unsubscribe from our mailing list. All items returned must be in unworn condition, with no stains, tears or visible signs of use or wear. Items must be returned within 7 days from when the order was fulfilled. We offer free delivery in Singapore through reliable courier handlers such as Q-Express. Please watch this space as we intend to expand delivery globally through DHL. There will be charges for deliveries outside of Singapore. We offer free delivery in Singapore through reliable courier handlers such as Q-Express. For international deliveries we use reliable couriers such as Sing post and DHL. There will be charges for deliveries outside of Singapore.